Throughout our nearly 30 years of experience, PVC Spiral Supply has grown into the largest single coil manufacturer in the country. We have been able achieve this in part because of the high-end forming machine we use – the Marlon 5000. PVC Spiral Supply manufactures, sells, and operates the Marlon 5000, a high-production forming machine used by many of the world’s largest coil manufacturers. 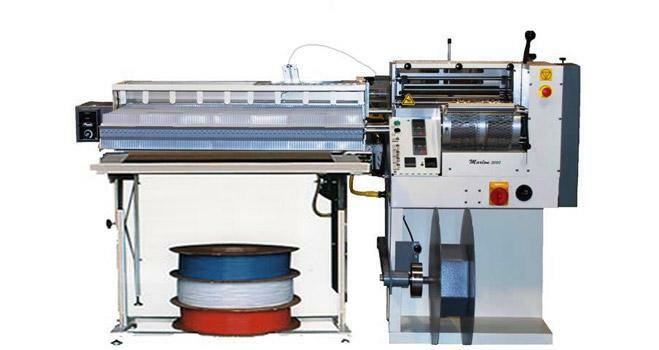 We operate 30 coil-forming machines along with ten plastic extruders to produce coil to your specifications. Last year, PVC Spiral Supply extruded over one million pounds of raw plastic. By purchasing a forming machine for all of your bookbinding needs and producing coil in your own bindery, you can save up to 60% on your coil costs. With the Marlon 5000, you will be able to produce coil when you need it, reduce freight costs, and increase your profit margin. If you have the volume, purchasing your own forming machine may be your best option. Call us at 800-461-9301 for an inquiry today!